The newly finished Douglas A-26 Invader being towed out recently at MAPS Air Museum! The Douglas A-26 “Invader” (S# 43-22602) as depicted in this picture when obtained by MAPS. MAPS received this A-26 in January of 2012. Over the next 7 years, volunteers put in excess of 10,000 worker-hours into refurbishing the Invader to its former glory. Congratulations to Crew Chief Ken Ramsay and his crew for a job well done. 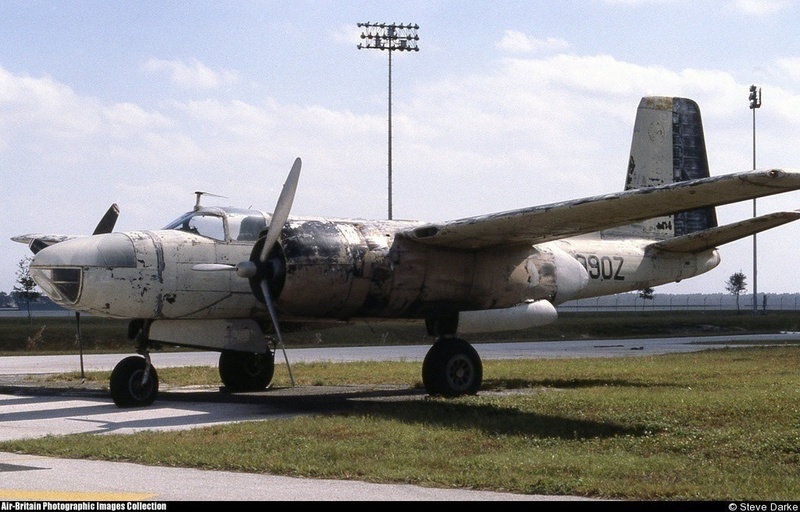 Over 46 people have worked on the A-26 over the years. 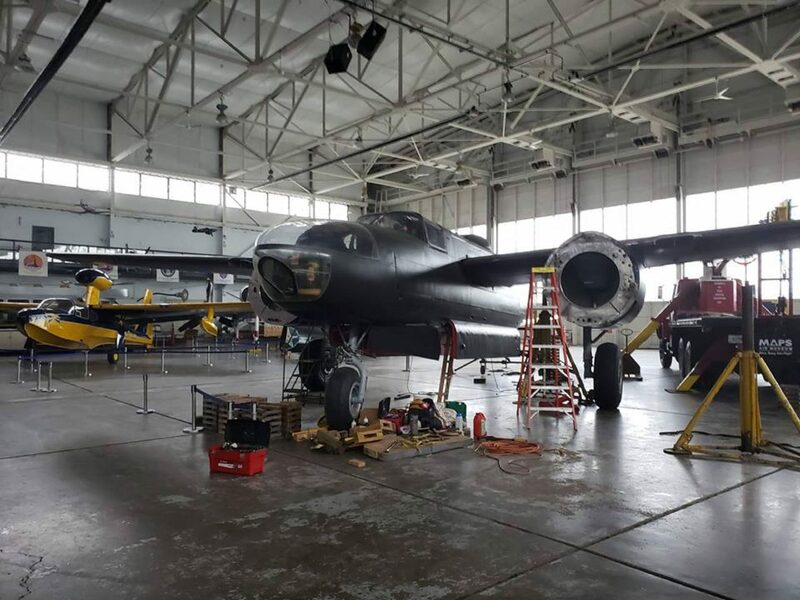 The A-26 on 11/18/18, almost finished having its wheels, wings, tail and engines reattached in the main hangar.